Friends with Guns, a world premiere written by Stephanie Allison Walker and directed by Randee Trabitz opens March 15, 2019 at the Road Theatre on Magnolia. Emily is alternate cast Shannon, a high anxiety mom, searching for her voice and power unbeknownst to herself. All Sunday performances are Pay-What-You-Can cash at the door only. Buy tickets here or contact Emily directly for comps and/or additional discounts. 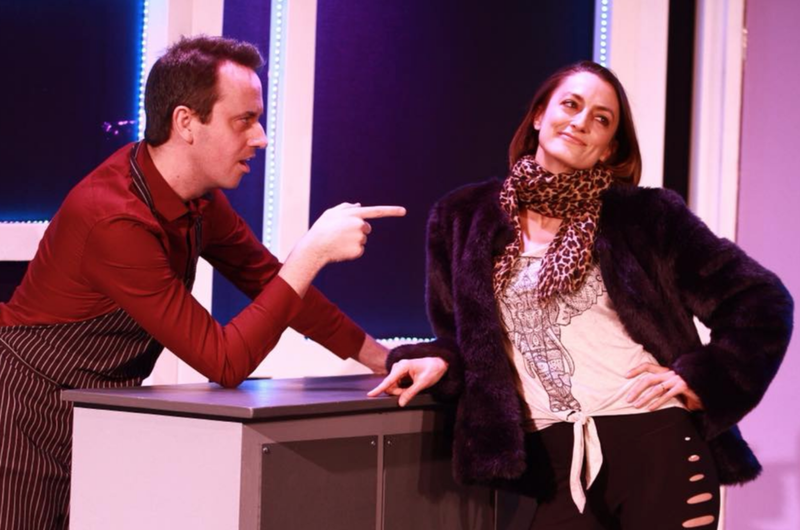 Showpony, the world premiere comedy written by Judith Leora and directed by Tom Ormeny ran 12 weeks at the Victory Theatre in Burbank through December 2018. Wicked Pagan Gays, the world premiere comedy written by Jeff Dinnell and directed by Kiff Scholl ran 6 weeks through March 2018 at the Zephyr Theater in West Hollywood. The Rainbow Bridge, the world premiere dark comedy written by Ron Nelson and directed by Michael Myers, ran 8 weeks through September 2017 at the Ruskin Group Theater in Santa Monica.